In an international market of growing competitiveness and demand, the design and implementation of Manufacturing Execution Systems (M.E.S.) for continuous process industries is the key to maximize the efficiency and control over the industrial productive processes. Keeping in mind the different market needs, AUGI has designed a set of tools and software applications that enable the development of Productive Process Integral Control (CIPP) projects. The CIPP was created to fulfill the needs generated by the BI (Business Intelligence), the manufacturing process reengineering, and the knowledge management. To develop a CIPP (Productive Process Integral Control) project, it is necessary to keep a global view of the company and understand its particular needs, so the necessary tools to fulfill them can be designed. 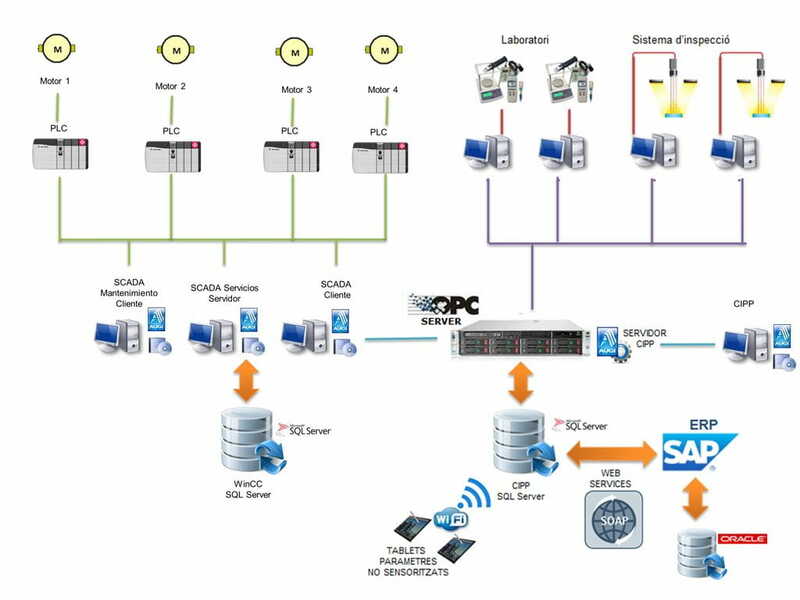 With the CIPP, together with the MES (Manufacturing Execution Systems), and the SCADAs (Supervisory Control and Data Azquisition) systems; a totally integrated environment with the company's ERP (Enterprise Resource Planning) system is created, which enables a constant flow of information in real time throughout the entire organization.